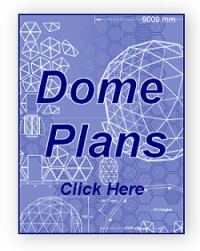 I recently received an e-mail asking for plans to build a 100ft diamenter low profile dome, so I thought it would be interesting to run through the design process and let everyone contribute. 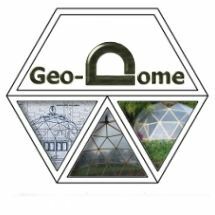 OK a 100ft dome in a trapezium style I think was the brief, the 16 sided trapezium dome would I think require the panels to be massive so I''ve quad divided the basic shape and lowered it by about half. This makes for 32 panels around the circumference. Let me know if we''re heading in the right direction with this? 100ft is a big dome. I`d be tempted to build a small prototype to test the design first, before spending a lot of cash :) The low profile tends to make for shallower angles which could cause panels to invert (pop-in) in a similar fashion to high frequency standard geodesics. The drawing you have here would be ideal for what I need.Just as long as the ceiling is not over 25-28'.I like the design.On a 6 or 8 frequency triangle dome there are alot of different strut lengths and angles to deal with. 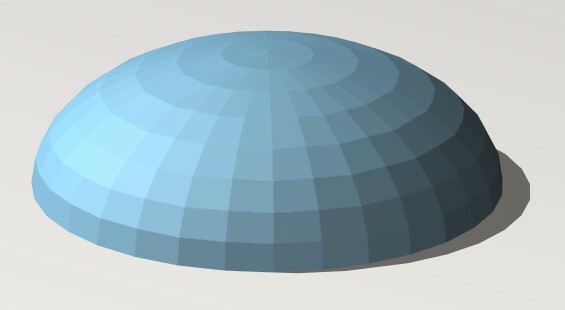 Does anyone know who sells 65 foot low profile dome kits? Why would you want to buy one? 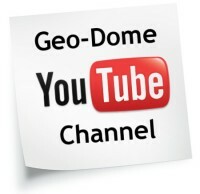 It would kind of defeat the main reason for Paul (Admin)working hard making geodesic information freely available on his website :) "The main purpose of geo-dome is to educate and promote the design, construction and use of dome structures and efficient building design for the environmentally conscious self builder"
exactly what I am looking for! What about the dimensions of the eight different shapes? if there are plans out there for this I would love to have a copy. i owned a two court air structure over two clay tennis courts.i want to replace it with the frame that's approx 100' diameter. i want a frame only and then cover it with a sleeve that will allow light in. the foundation is 2' wide and 4' down in southern NJ. e-mail me with thoughts please.